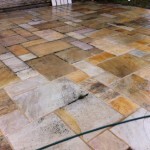 For a limited time only we are able to offer our services using the ‘SuperHeated Water Cleaning System’ to clean and make safe peoples Paths and Patios before they slip and injure themselves this Spring. 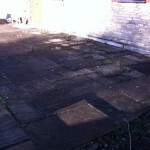 The difference is amazing – instead of that dark slippy path you will be able to actually see the beautiful stone again. Prices start from only £3.50/m2 (+vat – minimum charges apply) assuming that there is power and water available on site. 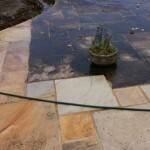 We can also, if requested, apply a biocide in order to keep the algaes at bay. 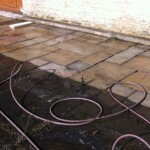 We know that there are other systems in the market place for cleaning your paths, patios and driveways but we believe that using the super heated water cleaning system is a more efficient method in the long run:- the cold water systems that are available move the dirt and grime from your patio or driveway but do so at a much higher pressure – this can cause damage to the joints between the stones/slabs costing you more in the long run. The algaes are also only dispersed i.e. 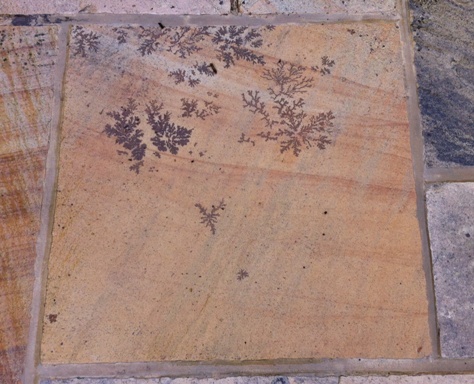 moved the spores are still on the stone and can therefore start to grow again much quicker than if the majority of them are killed with the hot water system. For further information or to request a firm price please call us on 07968 105785 or email us via the contact us page.